For Christmas this year I wanted to make an Advent calendar for my family. I have seen all over Pinterest making the Advent calendar out of Christmas books, so for weeks I have been searching and scouring the internet looking for good suggestions for books. I had compiled a master list of the best books. Or so I thought. I placed holds on these books over Thanksgiving weekend. When I got them all home I was devastated. These were books for children 8 years old (or so) and older. My kids are 3 years and 6 months old. We need more pictures and less words. I returned 90% of the books I checked out and went on a search to find age-appropriate Christmas books. What you will find below are the books that we have read and like for this Holiday season. Some of the books are religious, some are Christmasy, and some are just winter books. I don't have any suggestions for Hannukah, Kwanzah or other holidays. In fact I am on the hunt for a good preschool St. Lucia book. Please let me know if you have one! I have included a picture for each book and have also hyperlinked the title so you can easily find each one. 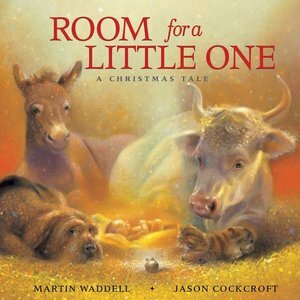 First up, Room For A Little One by Martin Waddell. This one takes place in the manger and is simple enough for my son to understand. He LOVES reading and talking about the animals in the manger. 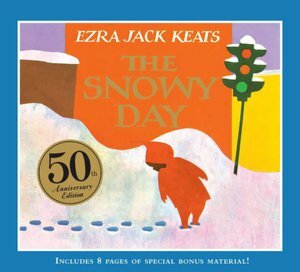 The Snowy Day by Ezra Jack Keats. I grew up reading this winter book. I used the board book version and my son has loved looking at the winter scenes. I grew up in Phoenix, Arizona and so I remember reading about snow with wonder. Now reading it and living in Salt Lake City I understand the story better. Although my son doesn't exactly understand why the snowball disappears. haha. The Christmas Mice by Fiona Watt. This has been one of my favorites. It's a touch and feel book and the best one I have come across yet! I love that on each page there are multiple items to feel and different textures on each page. This is how all touch and feel books should be! I get so tired of having the same single texture on each page. Elmo's Merry Christmas by Lori Froeb. This is my son's favorite, but it is my nemesis. It has flaps that open up on each page, which Stephen LOVES. Eh, not so much for me. There's 10+ flaps on every page and my son takes FOREVER to open each one. I will be taking this one back soon, but I am sure children love this book. 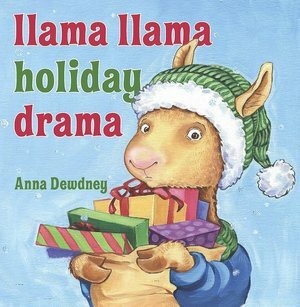 Llama Llama Holiday Drama by Anna Dewdney. I found this one from a Christmas book list. It is perfect for preschoolers. It talks about the excitement of waiting for Christmas that can become too much for a little one. We are going through this exact thing. My son has asked almost every night if we can have Christmas already, "Please, Please, Please, Please!" What Am I? Christmas by Anne Margaret Lewis. 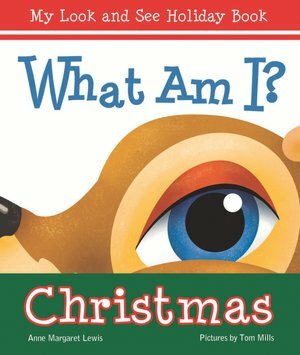 Each page of this book has clues for the child to figure out what the Christmas figure is. Stephen LOVES flipping to see the answers to the clues. It's a cute one. Any of these books would make a great addition to your home library, and only one of them has gotten on my nerves. I will continue to add to this list as we read more of our choices. I just got an ipad for my birthday...the big 5-0, and i would love to make my little bit of electronic heaven personal! Going to peruse their etsy shop now and plan for if I don't win. 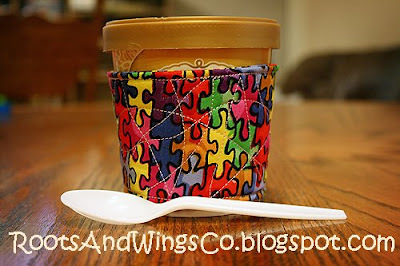 Thank you so much, Regena, for entering this giveaway. Kati, of Daisy Decals will be contacting you to find out which decal you want! Thanks again, to Kati, of Daisy Decals for this giveaway. Be sure to check out their shop and give them some love! Personalized IPad and a GIVEAWAY!! I love a little personalization! So, I am super excited about how cute my IPad and IPad cover look with their new, super cute decals!!! Enter Kati, of Daisy Decals. She and her Mom have a new Etsy shop that specializes in selling retro and vintage decals. I fell in love with Daisy Decals when I found out they are a mother daughter duo (a stay at home mom & a struggling college student). I have been both of these things and so I can completely relate! Then, I actually got a peak at their designs and they are darling. They sent me my favorite, which was the vintage camper. And they sent me an extra one to boot, a cute retro flower decal they are still in the process of working with! You must peruse their Etsy shop, as they have many other super cute decals for sale! Check out this Retro typewriter, that I am in love with! Or this View Master brings back so many memories for me! 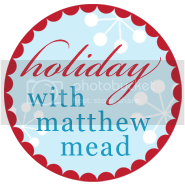 So, Kati is going to give one of my readers a free decal of their own! All you have to do to enter is leave a comment on this post. The giveaway will end on March 27. I will randomly pick one winner on March 28! You can get an extra entry by tweeting, and/or blogging about this giveaway (so really that is two extra entries you can get). Just leave me another comment (or two) letting me know you did. Make sure to check out Daisy Decals’ Etsy shop and give them some love! Well, I’M BAAACK! It is official! After so many years of going to school at night, after putting my amazing kids to bed, I have my Teaching Degree! I cannot believe it! Now I just need to get a paying job! So, I’m ready to dive right back into sharing my fun world with everyone. My Son just had an Alien Party. It was so much fun! I drew up about 12 different Aliens to use for his party. I cut out the Aliens and flying saucers with my cutting machine. The above were the invitations that I came up with. Those fun flying saucers were 3D because I used pop dots to pop up the dome part! Then, of course we had to add googly eyes as the finishing touch! -I cut out the blue rectangles with my cutter (though if you don’t have a cutting machine you can cut the rectangles out by hand and round the corners with a corner punch or by hand). -Then, I go into my printing program and print up the words that I want to use, on white paper. Make sure to space your words so that the actual rectangles will fit on the paper. -Next, I gently tape my rectangles onto the white printed paper, using that as my guide as to where to place the rectangle. (Where you printed the first time will be directly underneath your taped on rectangles). -Run your white paper, with the now taped on blue rectangles back through the printer, printing up the exact same thing you did the first time. -This will give you any cutout shape you want, with any words you want, printed right onto them! I do this ALL the time and love it! We went with bright green, bright blue, and black for my Son’s Birthday colors. Check back with me to see how the rest of his party turned out! I will also show you more inspiration for you to host your own Alien party! PS I can’t wait to catch up with everyone! I am pretty much a beginning sewer. Anjeanette is the one who is much more proficient. Thankfully I have had some time to learn some of her sewing skills. I have come up with a list of decent tips for any beginner. 1. 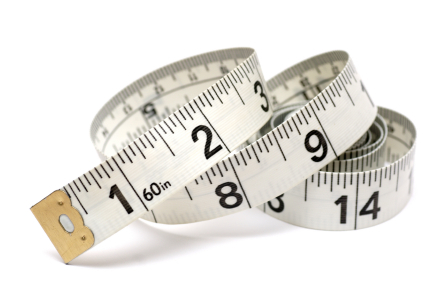 Use measurements and not clothing sizes to purchase patterns. I LOVE browsing the patterns at any sewing store and I am surprised at how many people buy clothing patterns based on their clothing size. THIS WILL NOT WORK! Unfortunately most clothing pattern sizes run SMALLER than our typical retail store sizes. So measure yourself before buying patterns and you will be much happier. 2. Buy patterns on sale. Awhile back I went craft shopping and somehow managed to convince my husband to come along too. He was pretty bored the whole time while I was sitting looking at all the patterns that were on sale for $.99. I picked up 10 to buy and Stephen was shocked that I was going to buy so many when I hardly ever sew (it's true!) but I knew what a great deal I was getting and we went to check out. When the cashier handed me my receipt she joyfully pointed out that I had saved over $100 and had only spent $10, my husband was again shocked. The point of this story is that patterns can be expensive. Some of the fancy dress patterns I purchased would be $16.99 regularly. Now, unless you are talking about a vintage/specialty pattern, I would suggest NEVER paying full price. 3. A seam ripper is supposed to be your best friend. Even professional seamstresses uses seam rippers...often. Don't be afraid to rip out what you have sewn and to resew it. 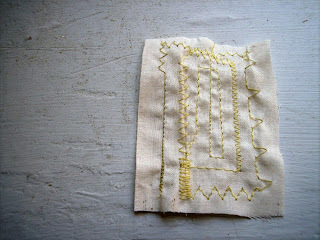 Plus, this just gives you more times to practice your sewing ;). 4. Buy good quality pins and a pincushion. Pins are so important for holding your fabric together. Even if you are just sewing a straight seam and think the fabric will not slip...think again. Then as your seams become more complex, the pins will become even more valuable. Pincushions are not just for decoration. As you are sewing, you will need someplace to put the pins you are pulling out from your fabric. Putting them in a box makes it hard to get out one at a time...but a pincushion makes things tons easier. 5. 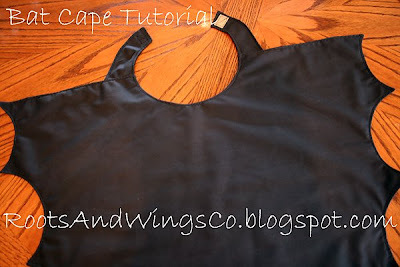 Test your sewing on scrap fabric. Different types of fabrics will require different thread tensions and stitch lengths. 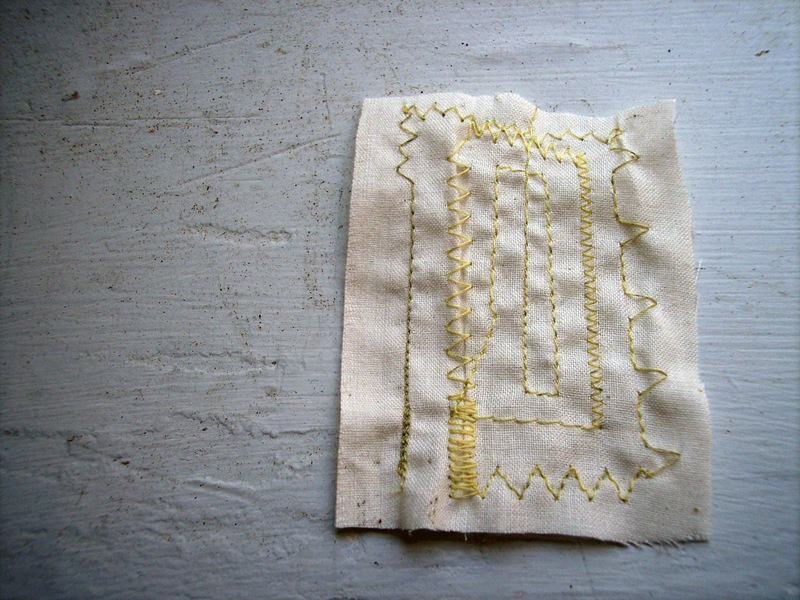 Testing out your fabric will prove to be beneficial, and playing around with thread tensions and stitch lengths will help you feel comfortable in your sewing skills. I hope these tips help you in your sewing endeavors! And let me know of any tips you feel are valuable to pass along to others. I love to push paint. Do you? I love the feeling of slippery paint being pushed by a brush on canvas. The bumps of the canvas make me happy. Sometimes I will use a brush smaller than necessary to paint the canvas so I can feel the bumps and sliding of the paint longer. It just may be a sickness, I’m afraid. Aren’t all those nooks and crannies awesome? I’ve seen this saying floating around blog-land for a while and KNEW I had to have it in my home. I do have a mild obsession with houses so I had to put a house behind the saying. Also, I know usually you see this as subway art, but I’m not the subway art kind exactly. I like a handmade thing that looks a little imperfect. I am imperfect in a big way so this was more me than subway art. I wanted to make some spider web throw pillows for my couch. When we moved, we purged a lot of things that now I’m wondering why we purged them. We had a 9 foot Christmas tree that never made it off the moving truck. Of course we didn’t figure it out until Christmas last year. I fear that some of our decorations didn’t make it to our new house either. All of our holiday decorations are quite …uhm lacking. I had a lovely idea to make a string quilt block into a spider’s web. I made wider white strips and teeny colored strips. The strips ended up being 1/4 of an inch. If you can imagine, when you put them together, there was quite a bit of bulk. I pressed them every way I could and still it just seemed a little bulky to me. My kids loved it though. I added a button spider to the web. Of course, those same sweet kids that love it, also told me that my or “Spee-I-der” is missing two legs. I fussy cut another spider out and hung it on the back. The kids approved of that guy. Since my first one was a bit too bulky to make me want to make another one just the same way, I decided to fussy cut the center spider in a hexagon shape. Then I did a kind of Log Cabin pattern. Together, they are quite the pair! My exciting news…and a Giveaway! I have amazing news! I’ll get to that in a minute but how was that for a nice long summer break from me? I had a wonderful summer with my kids. It was great to spend some down time with them before school kicked into high gear again! And WOW has it kicked into high gear!! My awesome news is that I have started Student Teaching! 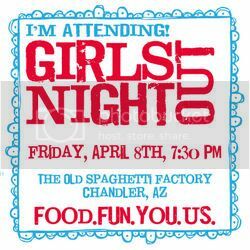 I know that Anjeanette already spilled the beans for me on this one, but I’m so excited about it that I wanted to tell you all about it! It has always been a dream of mine to be a teacher. 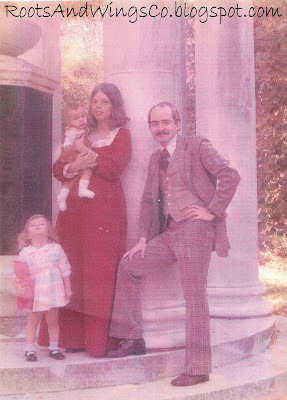 When I became a Mom, I put that dream on hold to be a stay-at-home Mom (which was my number one dream). I have loved every minute of being home with my kids. While I have been busy raising my kids, I have also been busy going to school to be a teacher. There is finally a light at the end of my tunnel. I am Student Teaching Kindergarten and could not be happier about it!! Seriously, I have a grin on my face ALL DAY LONG!! I already have so many stories I could tell you about the amazing kids in my class! I just adore them all! As you can imagine, this is a HUGE change in my life. I have run a daycare out of my home for the last 10 years, but that is from the comfort of my home, with myself as my boss. Now I am venturing out into the outside world and it is exciting, intimidating, and overwhelming all at the same time. I have never had to worry about getting myself and my kids ready for school every day. For now I am loving that I’ve had to step up my dress attire. I do have a love of shoes, and to have HAD to buy new ones for work has been quite fun. I was lucky enough to have an amazing BFF who has given me a work wardrobe (seriously amazing, right?). To complete the polished look that is now required of this new step in my life, I was lucky enough to get to review COVERGIRL LashPerfection Mascara. This could not have come at a better time for me, could it? As a stay-at-home Mom, and in-home day care provider, I mostly went with the au natural look, and hair pulled up into a ponytail. It’s a scary thing going into any field right now. So, I need every advantage that I can get as I’m stepping into a new career. I think that looking and feeling my best will certainly help me as I am interviewing for my first teaching job soon, and even right now as I am trying to make a great impression during my Student Teaching. COVERGIRL LashPerfection Mascara works great. I went with black because I have really dark (and full) eyebrows so my eyelashes really need to step up to be seen against my eyebrows! HA! It goes on great, with no clumping (which is a pet-peeve of mine!). I’m so glad I got to try out this product right now, when it was the perfect time for me! While we’re on the subject of make-up and looking great, you might want to check out the “Looking Your Best” posts in the Life Well Lived section of BlogHer.com. There are some great application tips and ideas for switching up your look for fall! Want a chance to win a $50 gift card to drugstore.com? In the comments, tell me about a time when using makeup gave you the added confidence you needed for an important event in your life. Sweepstakes Prizing will be a $50drugstore.com gift card. The Official Rules are available here. Enter between October 4th-November 4th. Who doesn’t like super simple? I know lots of our followers aren’t fans of the sewing machine. How this can possibly be, I just can’t understand. I mean, doesn’t everyone dream in fabric like I do? I start to wonder about non-sewers and my mind just goes into a blank dark place and I have to have a Pepsi Throwback STAT to come back to normal. But I guess there are people who don’t like to sew. Ouch. That hurt to even type out. This was so easy, that I won’t fault you for wanting to try it. It was super simple and quick. The hardest part was wrestling with the contact paper. I am not kidding. It should be a sport like putting a sports bra should be a full exercise, but I digress. Get yourself some contact paper, a ruler, paper cutters, paint, stencil brushes or dauber, and your material. 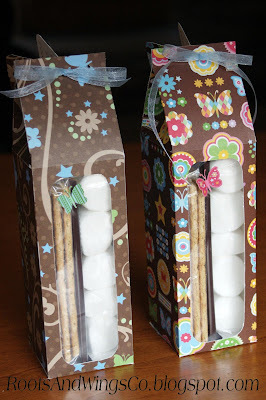 (This would also look super cute with black rick-rack glued around the border, but you know I don’t like glue, so I didn’t do it…although, I REALLY was tempted to buy a glue gun to try it out.) When I did my little post about Smart-Fab, I was left wondering if you could really paint on it. Yes, you can! If you don’t have Smart-Fab, don’t worry. This would be totally cute on burlap or any other coarse weave fabric. Start by making your template with your contact paper. I am a huge fan of pinwheel quilts so I went with a pinwheel pattern for this. Essentially, you could do any kind of design. I drew out a square on the paper side of the contact paper. Then I drew diagonal lines and then a horizontal and vertical lines intersecting in the middle. I just cut out every other triangle and left the negative ones attached. Since the contact paper wanted to roll on me, I used a (gasp) glue stick (it is my kid’s glue, honest) to the cut contact paper to hold it for positioning. Think about transfer tape used to install vinyl. That is basically what I did here. Apply the contact paper, sticky side down on your fabric. Using a fairly dry paint, carefully daub the paint on. I just used acrylic craft paint. Make sure you have a washable surface under the fabric incase it bleeds through. When stenciling, make sure you don’t shove the paint under the stencil. Move the paint away from the edges of the template. Remove the contact paper and admire you quick paint job! It was super quick for me because I didn’t make sure it was perfectly painted on. I added some polka-dots to every other pinwheel and Viola! You are done! Took less than an hour. Most of the wasted time, as I stated above, was wrestling with the contact paper to make it lay nicely on the fabric. The edges are not stitched one bit. Just cut evenly with the dimensions I wanted for my little table. 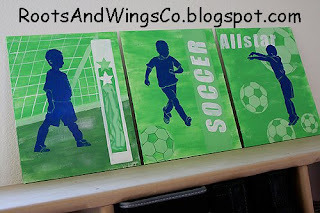 You could totally do this with freezer paper, or vinyl if you have either of those. I just happened to have contact paper handy. Enjoy! 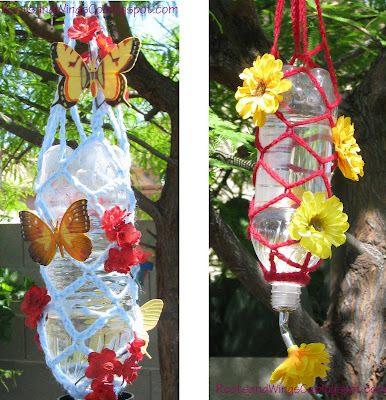 Let me know how much you loved this quick project and send me pictures of your finished projects. Hurry up. 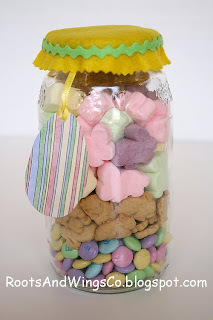 You could totally have one (or five) of these done in a jiffy! This is another project using Smart-Fab! I have to say what a fun medium this is turning out to be. 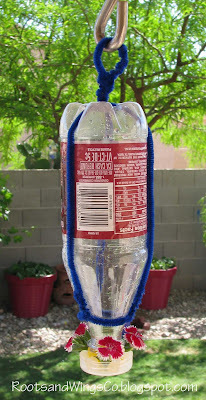 I don't have to worry about the edges unraveling on this and there was no sewing needed!